This popular book has helped thousands of people to learn book-keeping. 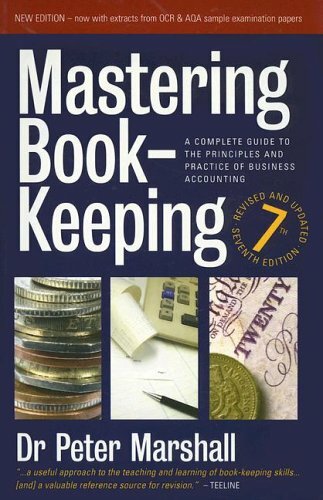 It explains the principles of book-keeping, including the bank reconciliation, extracting a trial balance, writing up the petty cash book, accruals and prepayments, accounting for VAT, setting up a Limited Company, compiling a balance sheet, accounting for doubtful debts, etc. From the table of contents: Principles of accounting; Introduction to accountancy; The Accounting Equation; Double entry; Debtors (an asset); Creditors (a liability); Prepayments (an asset); Accruals (debt or credit); Depreciation (an expense).